Labor Day is a day that we as a nation take to recognize all of our hard working citizens in all areas of work. It is a day meant to say “thank you” for all that you do each and every day, day in and day out. Whether you are lucky to get the day off or are working away so that others can enjoy some time off, all of us at Homes for Heroes would like to simply say “thank you,” you are all heroes in your own way. If you are one of the lucky few who are able to spend the day with family and friends, be sure to say thank you to those who may not be so lucky. 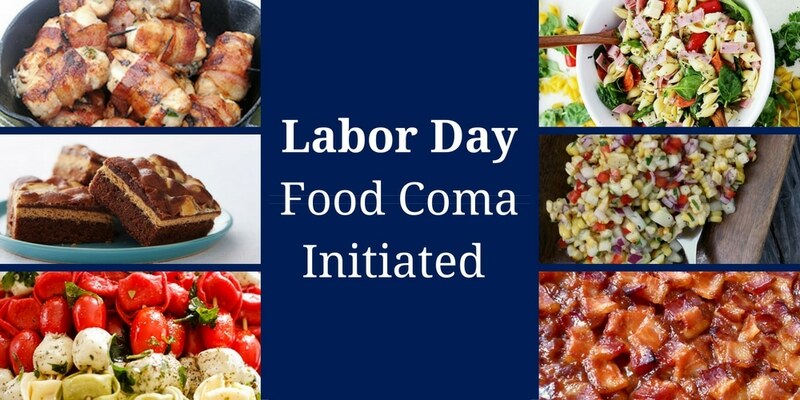 Now, to celebrate Labor Day the right way you have to do three simple things: Kickback, relax and eat. Okay, we may have made up the whole eating thing but who doesn’t like indulging in good food on a day off? 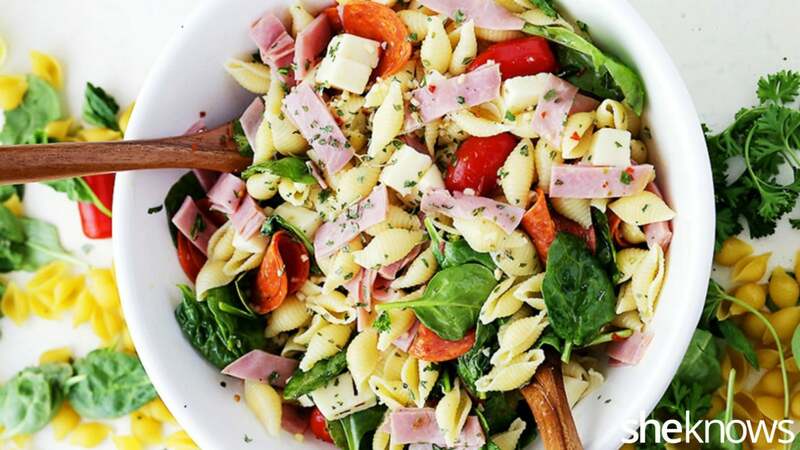 Check out these Labor Day Recipes we hand picked just for you. We promise they will satisfy all of your taste buds and if you run into someone working this Monday, be sure to share some of these delicious recipes with them! Time to assemble your kabobs. Real Women And Homes started with the tortellini, then the mozzarella cheese and last the tomato. Do this twice for a total of 6 pieces per kabob. 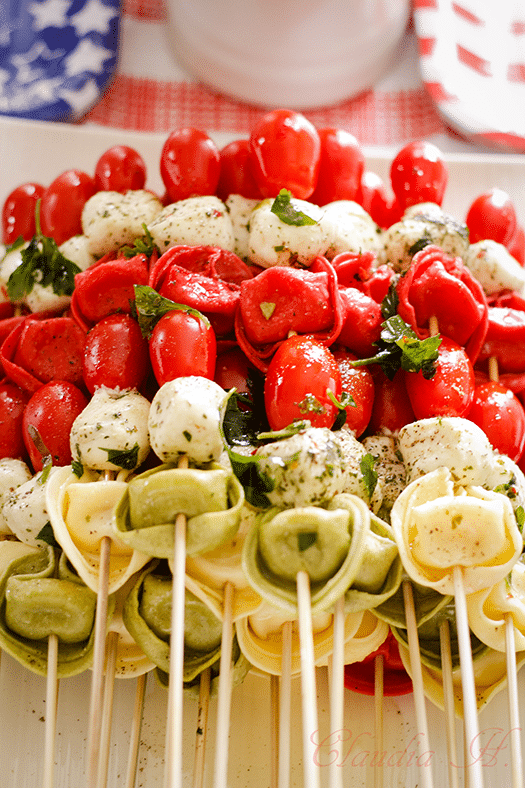 Drizzle some of the mozzarella balls marinade on top of the kabobs. If all you can find is mozzarella balls in water then you can make your own marinade by mixing 1/2 cup of olive oil with 5 minced garlic cloves, 1/2 teaspoon red pepper flakes, salt and pepper to taste. Garnish with fresh parsley if you would like. To view Real Women And Homes full kabob recipe, click here. Dab ½ teaspoon (more or less) of cream cheese on top of each chicken tender. Sprinkle a scant ¼ teaspoon of peppers over cream cheese. 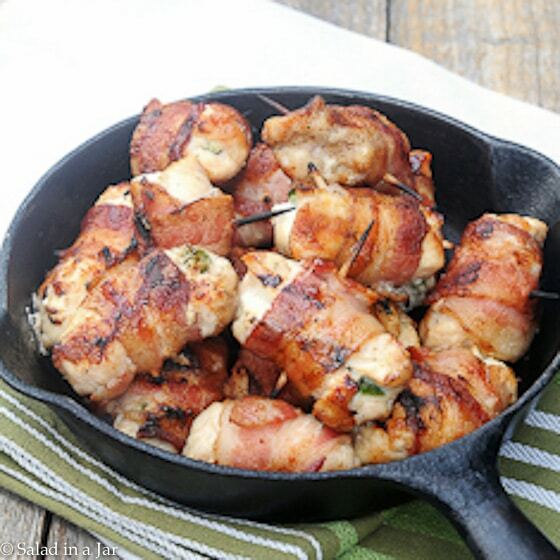 Fold or roll chicken to enclose cream cheese mixture. Wrap each roll with one piece of bacon and secure with a toothpick. Be sure to wear plastic gloves when handling fresh jalapenos. The oil will attach itself to your hands and is not easily washed away. An inadvertent swipe of the hand close to your eyes could be an unforgettable experience. For reference, if you are substituting for the chicken tenders (i.e. dark meat, large pieces of chicken breast, game meat), the size of the tenders used were 5-6 inches long and 2-3 inches wide before flattening and cutting in half. Try flattening meat inside a zip-lock bag as pictured above. No flying pieces, no contamination on your cutting board from the chicken, and cleanup is super easy. To view Salad In A Jar’s full chicken bite recipe, click here. To view She Knows’ full pasta recipe, click here. Combine ketchup, barbeque sauce, brown sugar, mustard, Worcestershire sauce, liquid smoke, garlic and pepper in a medium-sized bowl and mix well; set aside. Open each can of beans and pour off all the standing liquid in the top of the can. Discard liquid and add beans to the ketchup mixture. Mix beans gently with the ketchup mixture until thoroughly combined then pour into a shallow 2-quart baking dish. 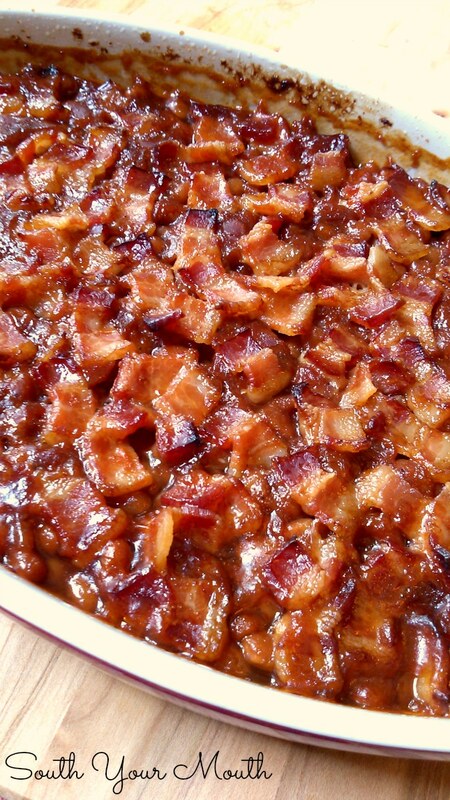 Cut bacon into 1/2 inch pieces then place pieces evenly in a single layer on top of beans. I like to kinda crumple each piece a bit instead of laying them flat – like little inchworms. The cute ride-on toys from the 80’s not actual worms because that’s gross. Bake beans, uncovered, at 350 degrees for 1 to 1.5 hours or until bacon is cooked through and starting to crisp. Not “baked beans” or “barbeque beans,” or anything fancy like that as they’re already jazzed up. You just want plain jane, inexpensive “pork n’ beans”. Also, be sure to keep the cans upright until you’re ready to cook. You’ll want all the liquid to settle on the top so you can pour it off. To view South Your Mouth’s full baked bean recipe, click here. Remove from oven and let cool for 15 minutes to set completely. Slice into bars. 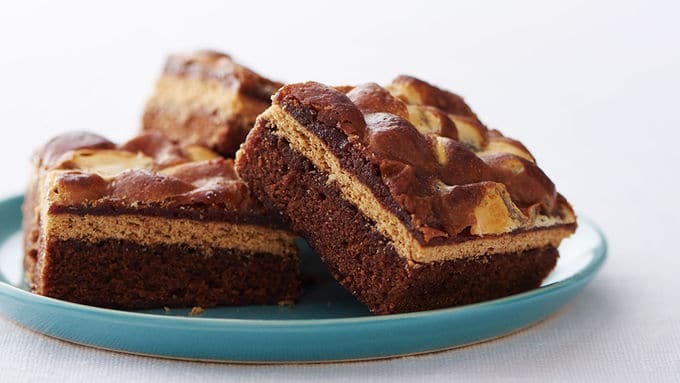 To view Table Spoon’s full s’mores bar recipe, click here. Grill your corn on a hot grill (when the coals have just turned gray or medium-high on a gas grill), in the husks, until husks are charred all over, ~15 minutes. When cool enough to handle, peel back the husks, taking the silk with them. Stand the corn cobs upright on a cutting board and using a sharp knife, cut straight down, slicing the kernels from the cob. Set aside. Whisk together the lime juice, olive oil, honey, salt, and pepper in a medium bowl until fully combined. 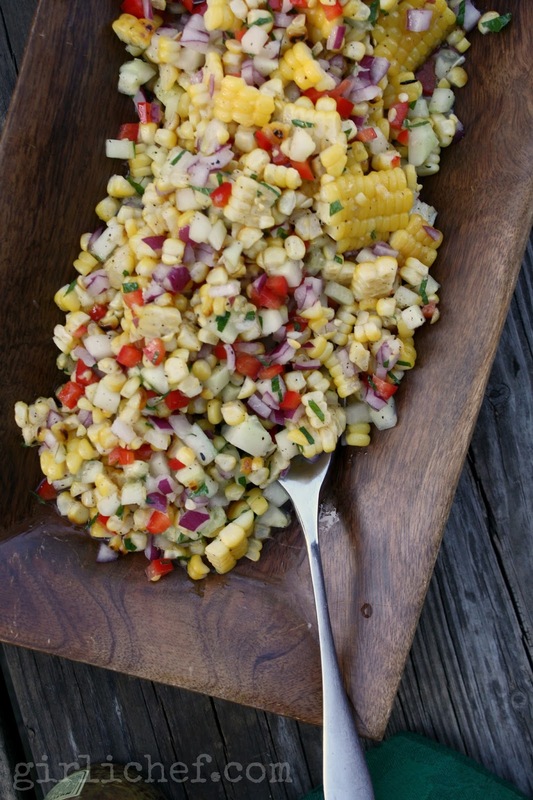 Add the corn, onion, cucumber, bell pepper, and mint; toss gently until everything is coated.